Warsaw (AFP) - The FIFA presidential election should be postponed after football's world governing body became embroiled in two corruption storms, the European confederation UEFA said Wednesday. "UEFA believes that the FIFA Congress should be postponed and that the election for the president should take place within six months," said UEFA general secretary Gianni Infantino, speaking after UEFA's Executive Committee had held an extaordinary meeting in Warsaw ahead of the Europa League final. The FIFA congress starts on Thursday and a vote for the president to be held Friday. Embattled FIFA incumbent Sepp Blatter is due to face just one rival in Friday's election -- Prince Ali bin al Hussein of Jordan. Infantino, whose boss Michel Platini has been a vocal critic of Blatter's and threw his support behind Prince Ali last week, said the UEFA executive board believed FIFA desperately needs a fresh leadership to be able to embark on reforms. "Today's events are a disaster for FIFA and tarnish the image of football as a whole," said Infantino. "UEFA is deeply shocked and saddened by them. These events show, once again, that corruption is deeply rooted in FIFA's culture. "There is a need for the whole of FIFA to be "rebooted" and for a real reform to be carried out. "The upcoming FIFA Congress risks to turn into a farce and therefore the European associations will have to consider carefully if they should even attend this Congress and caution a system, which, if it is not stopped, will ultimately kill football," added the 45-year-old Swiss-born official. UEFA's associations will meet in Zurich on Thursday morning ahead of the start of the Congress. FIFA and the world of football were rocked on its heels early on Wednesday morning when Swiss police detained several leading FIFA officials. The seven people arrested in a dawn raid at a luxury hotel in Zurich, now face deportation to the United States on charges of accepting more than $150 million in bribes. 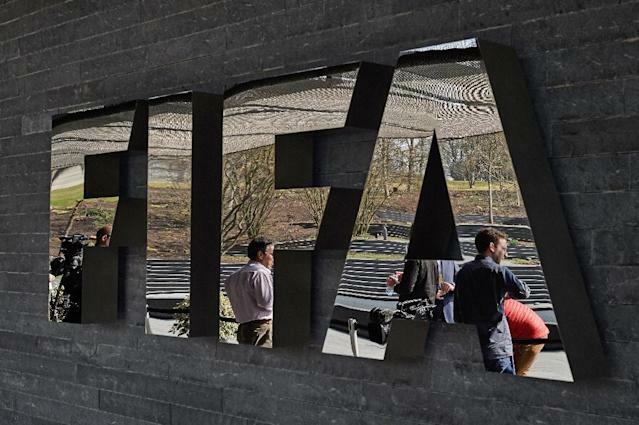 In a separate development Swiss police on Wednesday raided the headquarters of FIFA, seizing documents in a probe linked to fraud in the awarding of the 2018 and 2022 World Cups, the Swiss attorney-general's office said.